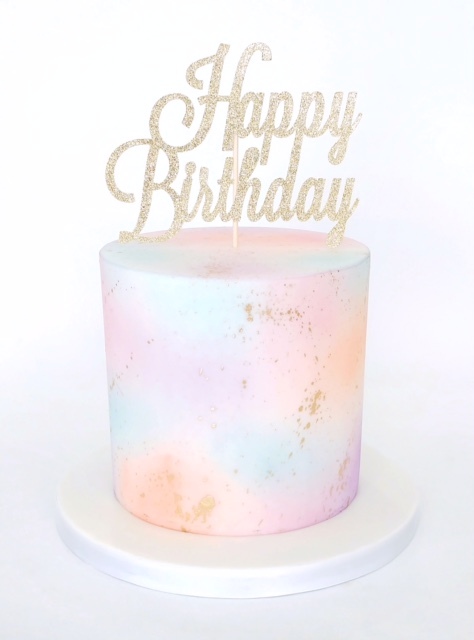 Our stunning watercolour effect birthday cake is sure to cause a gasp and melt hearts. This pretty pastel-coloured fondant iced cake is inspired by rosy pink skies and tastes just as heavenly as it looks. 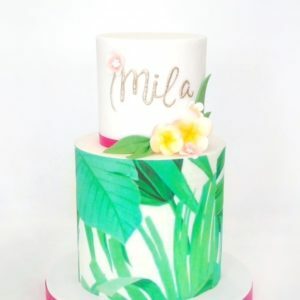 Why not brighten up a loved one’s birthday with this sophisticated cake topped with a sparkling happy birthday message. Our watercolour cake comes in two flavours. Choose from delicate vanilla sponge with a light, fluffy and delectable vanilla buttercream, or for chocolate lovers, go for our to-die-for chocolate sponge with a smooth, silky and fudgy chocolate buttercream filling. 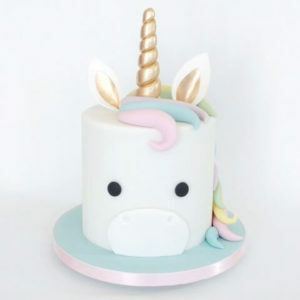 Simply pick a cake size and flavour and our pink-mad cake creators will get to work making you the prettiest pastel cake you can imagine. 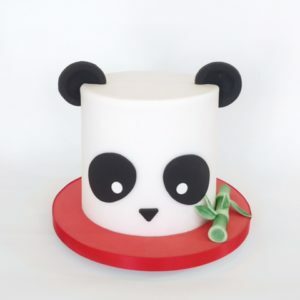 We can deliver any cake fresh to homes, birthday venues and restaurants in London from £25, or you can collect from our cake parlour. Have a question for us? 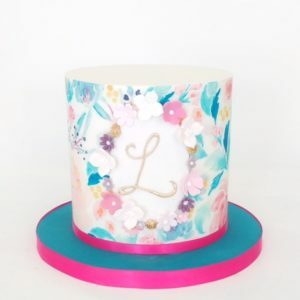 Call our artistic cake team on 020 8874 4616.